Will San Francisco Ban Flavored Tobacco Products? The Choice Is Yours! WILL SAN FRANCISCO BAN FLAVORED TOBACCO PRODUCTS? Oh, it's that wonderful time of year again; where we as citizens can take part in the latest happenings of society through voting. That's right, voting allows a number of issues to be resolved through the carefully-worded bills and eventual enforceable laws. These issues can be anything from reducing violent crime, adding more funds to public schools, or you know, completely eliminating flavored tobacco products - including BLVK Unicorn - from the shelves of your favorite shops. 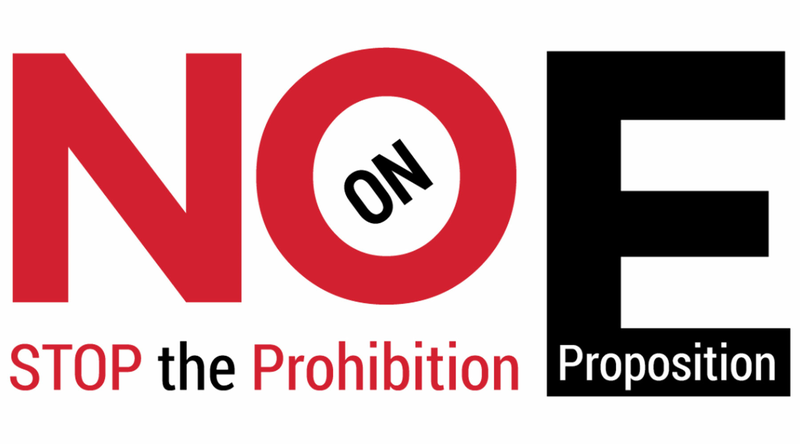 On June 5, San Francisco residents will have the opportunity to vote on whether to uphold the flavor ban passed last year by the city's Board of Supervisors. Thanks to opponents of the bill, enough signatures were collected to effectively challenge the law in a referendum. Proposition E defines a flavored tobacco product as any product that a manufacturer or related entity has stated "has or produces a Characterizing Flavor, including, but not limited to: text, color, and/or images on the product's Labeling or Packaging that are used to explicitly or implicitly communicate that the Tobacco Product has a Characterizing Flavor." This proposition was designed to amend the health code to ban the sale and distribution of such products. While the ban's primary target was menthol cigarettes, which initially led Newport-maker RJ Reynolds to invest millions to fight the ban by first financing the petition drive and then the No On Prop E campaign, the fact that a flavored tobacco product also falls onto MOST premium e-liquid lines you're used to enjoying. Companies such as BLVK Unicorn, Naked100, and Kilo E-Liquids are among the thousands of brands that would otherwise cease to exist in San Francisco. This inclusion to the ban means that vaping advocacy groups such as CASAA and Not Blowing Smoke as well as industry groups like the American Vaping Association, VTA, and SFATA to get involved in the fight against Prop E.
Other opponents of Prop E include local grocery and convenience stores. Should the proposition pass, these stores lose out on a massive revenue-stream seeing that most smaller stores' main income-generator are the sales of tobacco products. The other side of the picket fence lies our supporters of Proposition E. Their yes campaign titled SF Kids vs. Big Tobacco follows suit with most anti-vaping collectives out there. The logic behind their campaign is based out of fear versus any substantive data against flavored tobacco products. This is proven in the language used with trigger-laden phrases such as "protecting the children." E-Liquid in this case is referred to as "candy-flavored e-liquid" or even "candy tobacco." Supporters of the proposition have also taken shots at JUUL, claiming that the latest "JUULing" trend is one of the many issues that the bill will resolve should it be passed. While the world's largest vape manufacturer failed to comment about whether the company was actively fighting the ballot measure, they did respond to Vaping360's inquiry with this statement: "JUUL exists to support adult smokers interested in making a switch. We believe flavors play an important role in adult smokers switching and staying switched, and we are undertaking research to better understand this important topic." JUUL's statement falls in line with countless other manufacturers - BLVK Unicorn included - in the reasoning why manufacturers exist. The bottom line? To offer an alternative to combustible tobacco products to ADULTSof legal smoking age. For the small convenience stores, vape shops, and e-liquid manufacturers that depend on sales of the products their elected official want to prohibit, be sure to take the time to vote NO on Proposition E. For those that do not directly reside in the San Francisco area, feel free to share this article with your loved ones that might be affected from the ban continuing.